Mouthguards are critical for protection of the teeth during athletic events. As a courtesy to local athletes, we provide our patients that participate in athletics with complimentary custom mouthguards ($100 value). 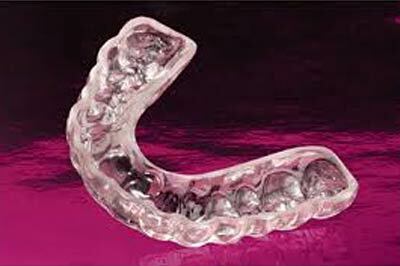 We also fabricate Comfort Guard bite splints for those patients that grind their teeth, a condition known as Bruxism.